In these new spy photos, the BMW 8 Series Gran Coupe shows off its stunning profile and some small details as well. From the A-pillar forward, it’s identical to its two-door sibling, which is not bad thing. The slanted Kidney Grilles, aggressively creased hood and seductive headlights all remain. It’s from the B-pillar back that it separates itself from its coupe counterpart. The roofline naturally extends quite a bit further and it swoops down into the trunklid in a similar manner to the coupe, it just takes a little longer to do so. Thankfully, it still sports the 8 Series Coupe’s muscular rear haunches. It works so well, the Gran Coupe design with the 8 Series’ design language. 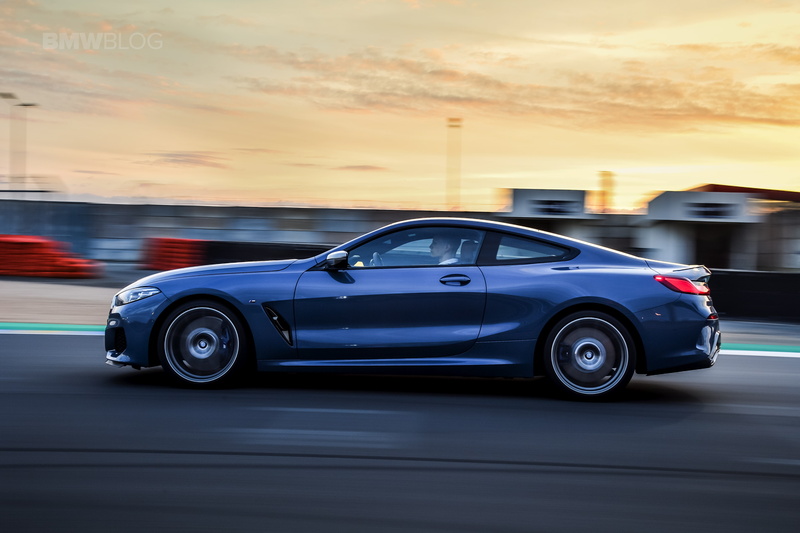 The 8 Series’ muscular looks and long body work perfectly with the Gran Coupe design, more so than even the 6 Series Gran Coupe and especially more so than the 4 Series Gran Coupe. It’s just a stunning car, this, and it could be the best looking BMW in a very, very long time. Even better looking than the Coupe. The car in these photos is clearly a BMW M850i Gran Coupe, with its blue brake calipers and twin rectangular exhausts giving it away. Which means there’s still room for the BMW M8 Gran Coupe to come along and blow us away, much like the M6 Gran Coupe looked significantly better than the standard 6er GC. We can’t wait.